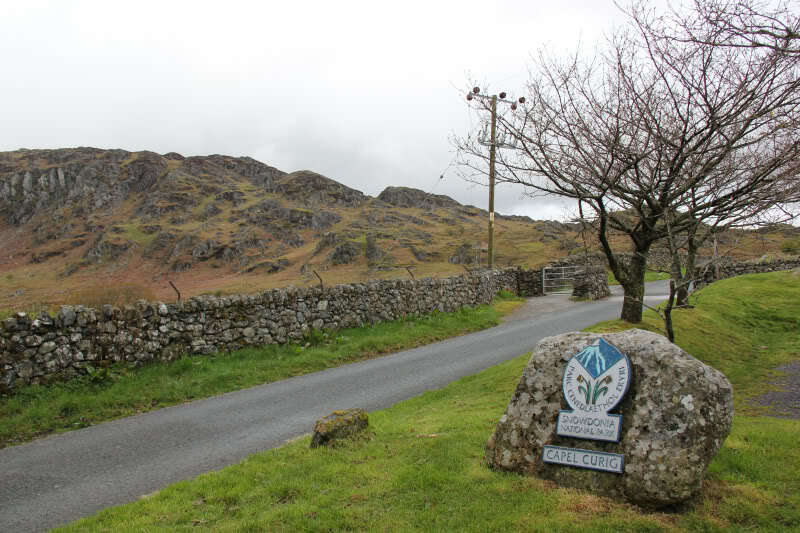 I set off this morning from Capel Curig to ascend Gallt Yr Ogof and Y Foel Goch en-route to the main objective of the day, Glyder Fach and Glyder Fawr. There is room for at least a dozen cars in the free car park a short distance behind Joe Brown's outdoor shop. I set off along a track and then took to the hillside just beyond a house. 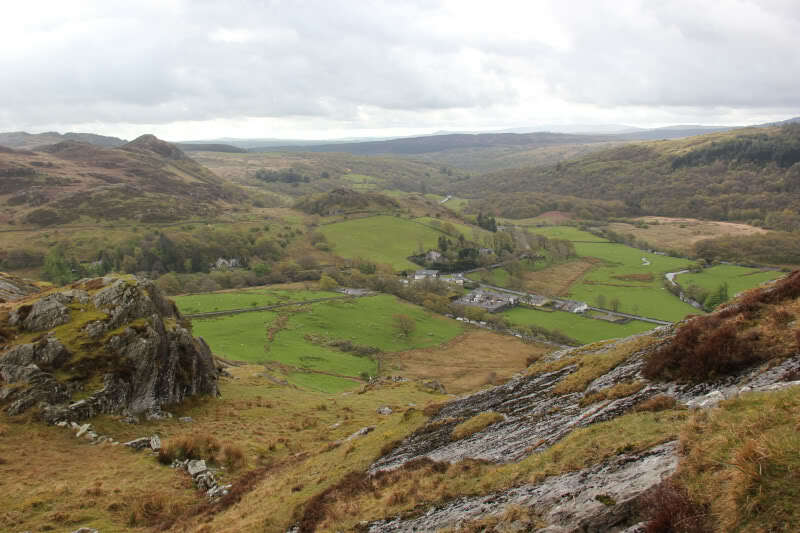 I thought the view back towards Capel Curig and beyond was quite nice. 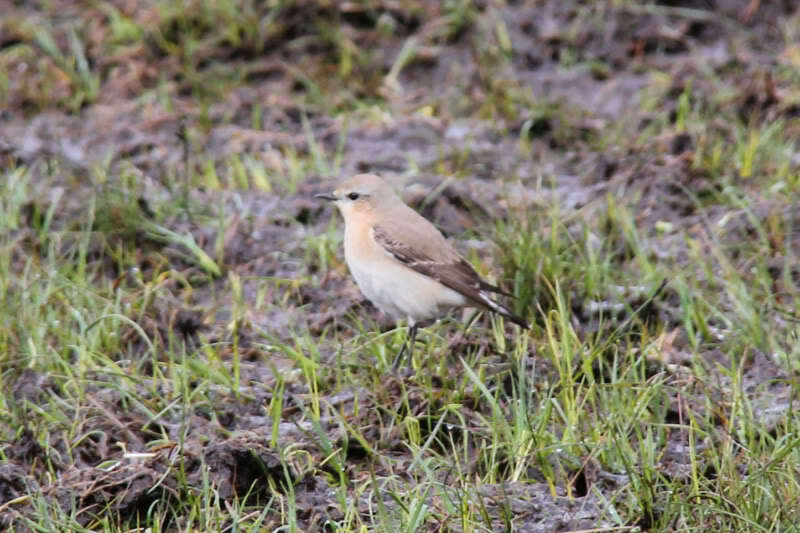 During the ascent towards Cefen y Capel I spotted a female Wheatear which stayed still long enough for me to get a photograph. 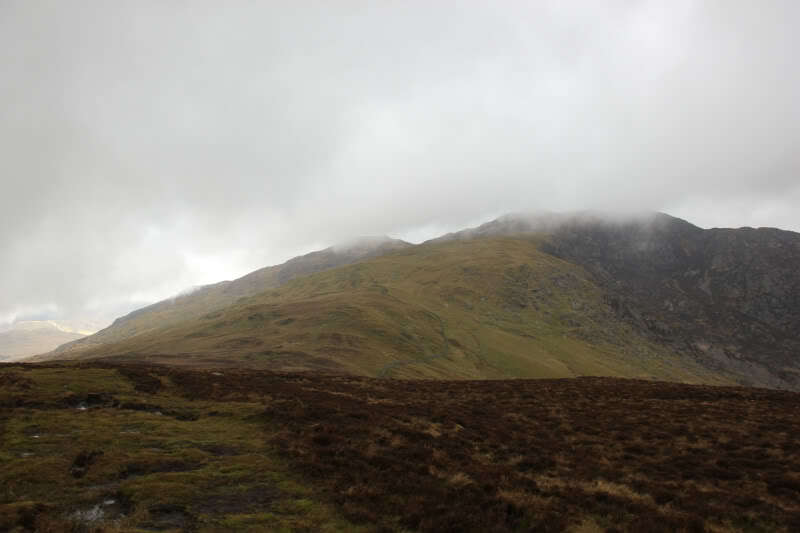 The weather this morning was definitely uninspiring, especially the low cloud. 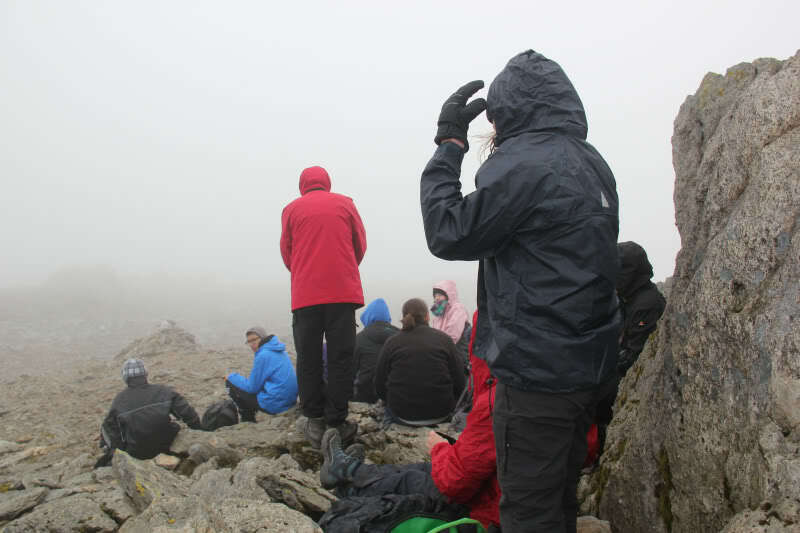 For a while, views were non-existent above 500m. 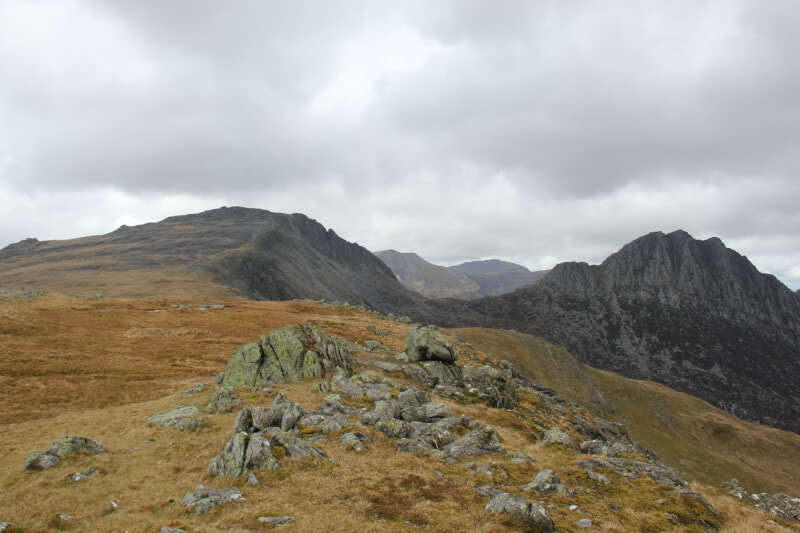 During the ascent I decided that if the low cloud did not lift I would cut the walk short at Y Foel Goch as I wanted good views of the spectacular Glyder Fawr and Glyder Fach. 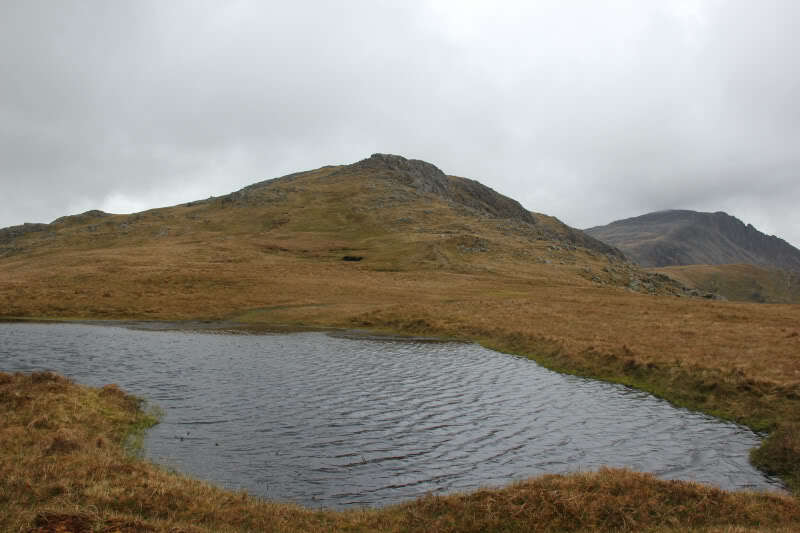 The underfoot conditions were also very much squelch, squelch, squelch. 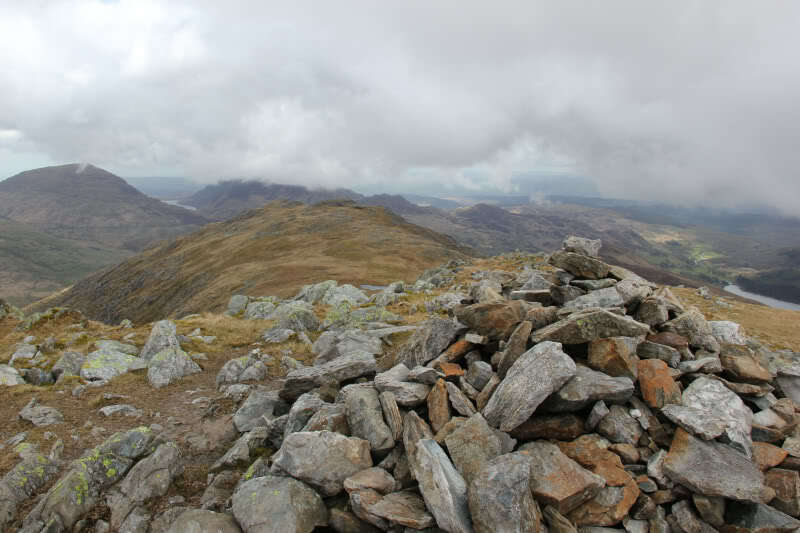 The low cloud had not lifted by the time I reached the summit. 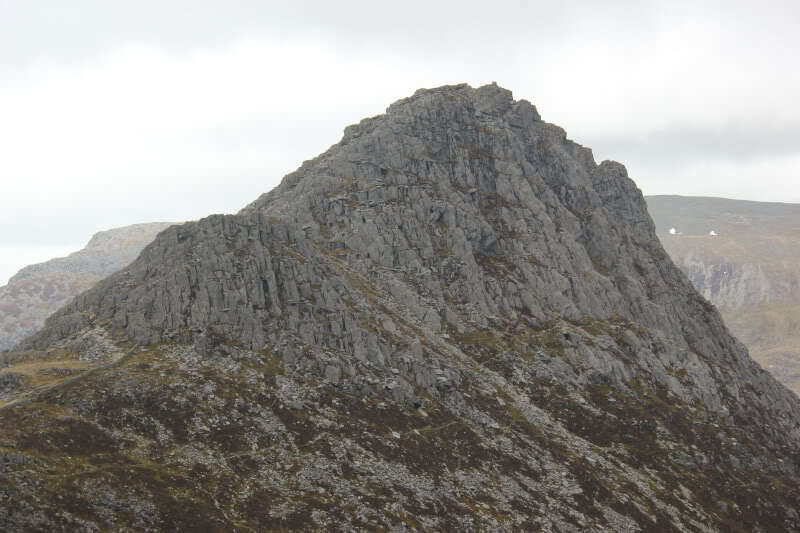 The summit is the rock 4m from the cairn. 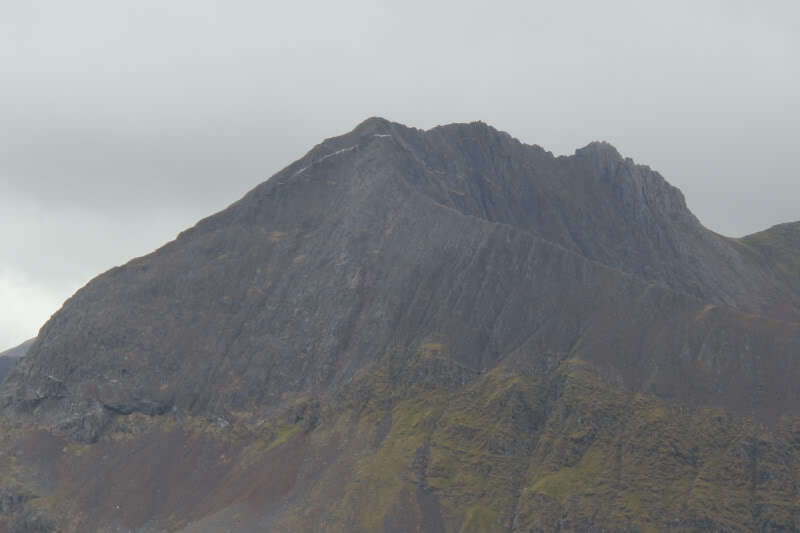 A few minutes after leaving the summit the cloud lifted and as a result so did my enthusiasm level . 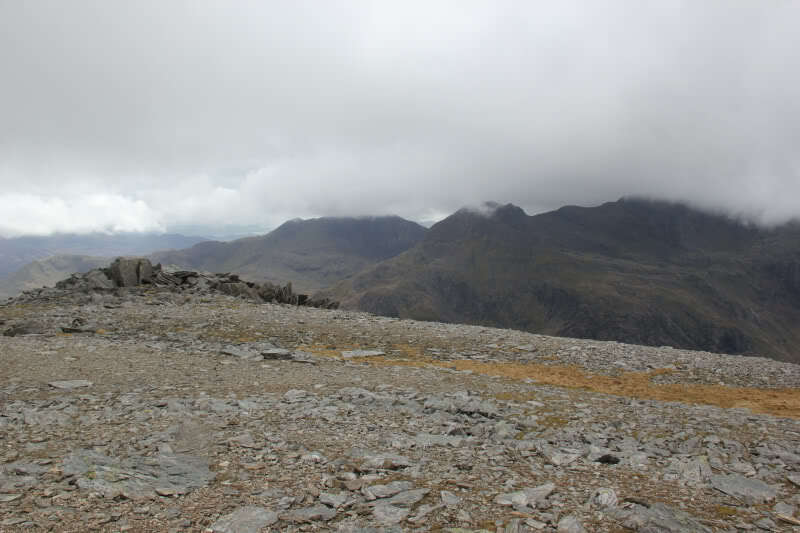 It was great to start getting views across to Glyder Fach and Tryfan. 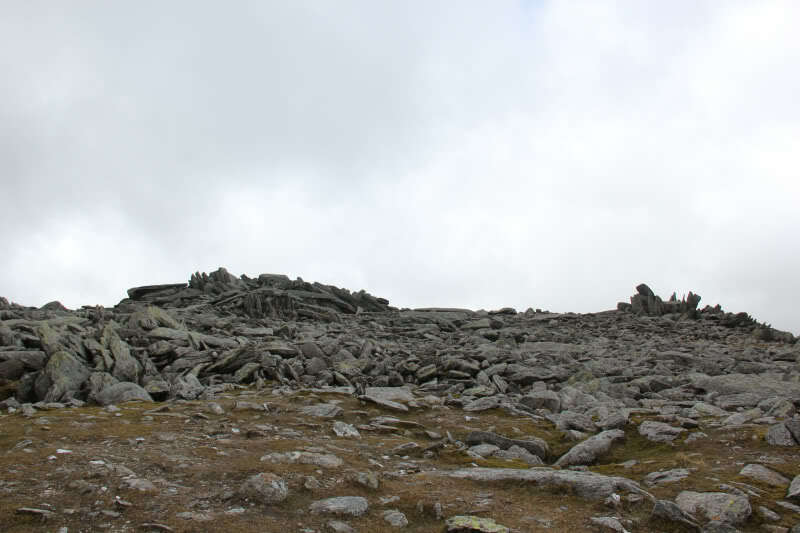 On reaching the summit of Y Foel Goch, I visited the summit cairn and then had a short break in the stone shelter. 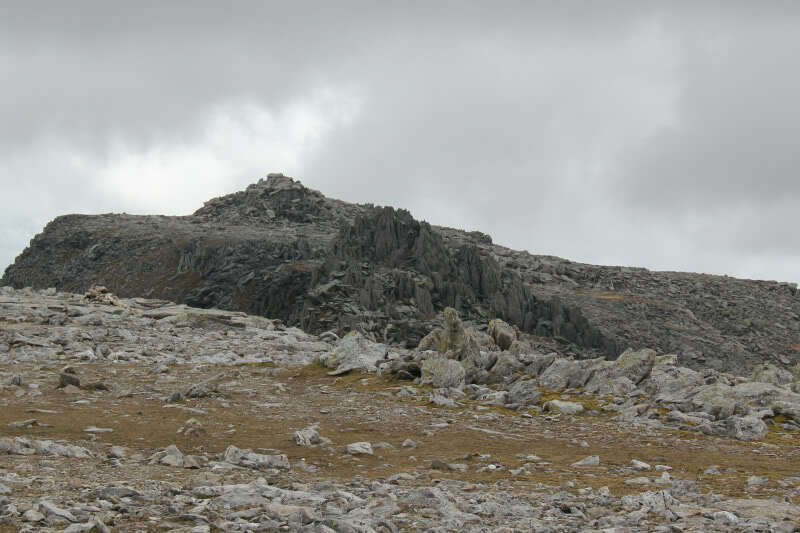 I then made my way across to Glyder Fach. 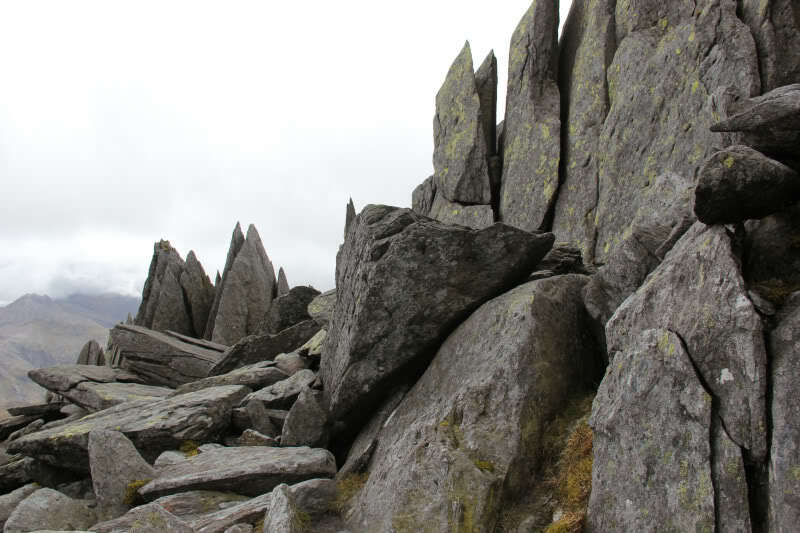 I couldn't help but admire Tryfan and Bristly Ridge during the walk across to Glyder Fach. I will definitely do this route in the future but it is one I am saving for a nice sunny day to enjoy the mountain at its best. 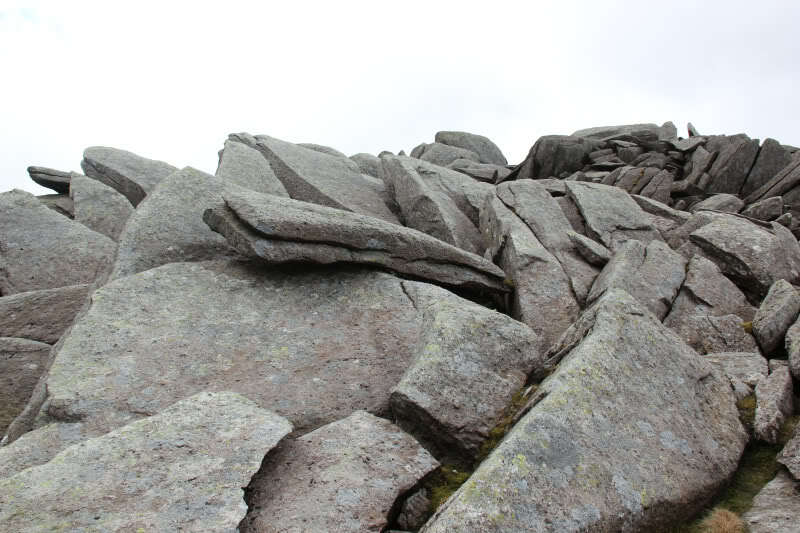 On reaching the flat summit area of Glyder Fach, I was in awe of the piles of huge boulders. 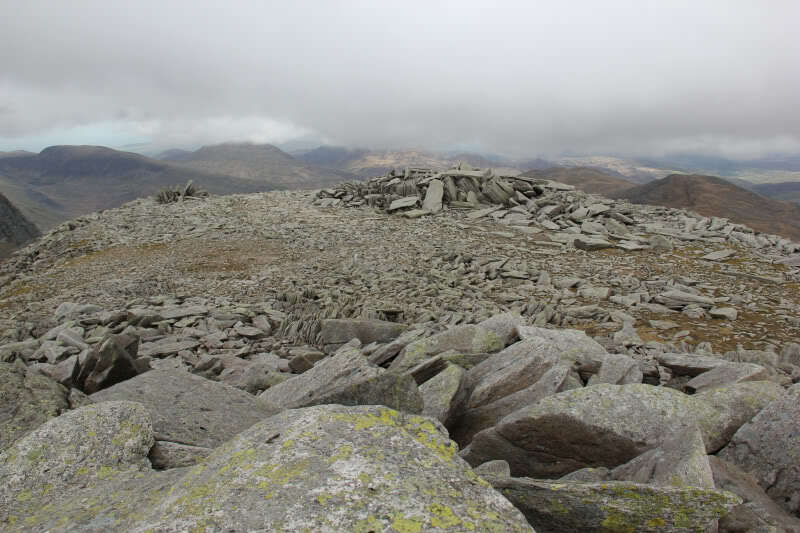 The summit area of Glyder Fach is unlike any other hill that I have been up previously. 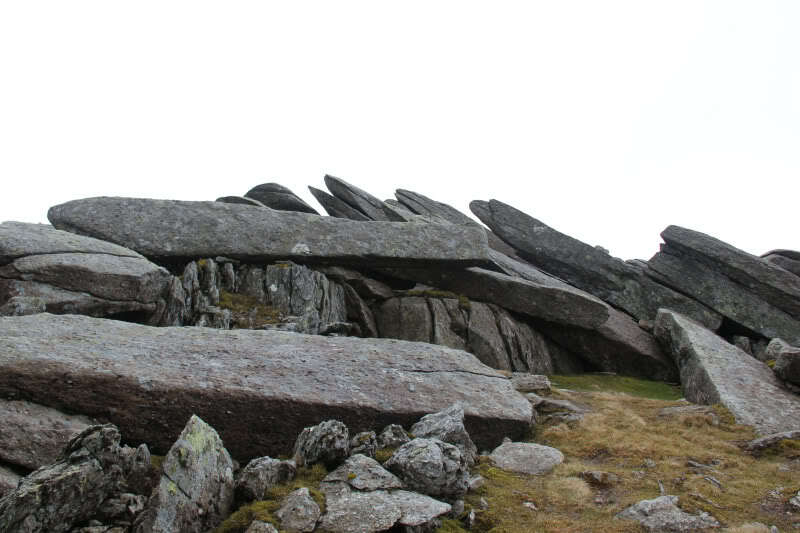 I would love to know the geology behind these huge piles of boulders and tors. 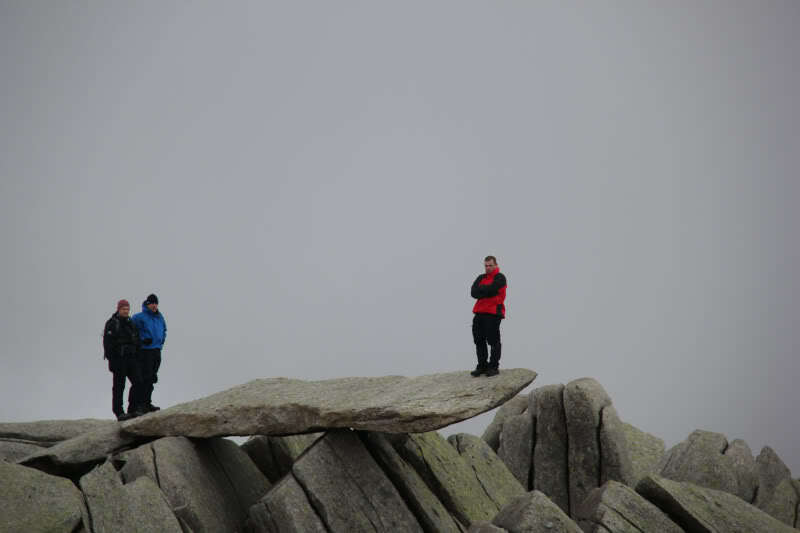 On seeing the Cantilever Stone, I clambered up onto it. There was no-one else around at the time to take a photograph and the camera timer didn't give nearly long enough for me to get up there. 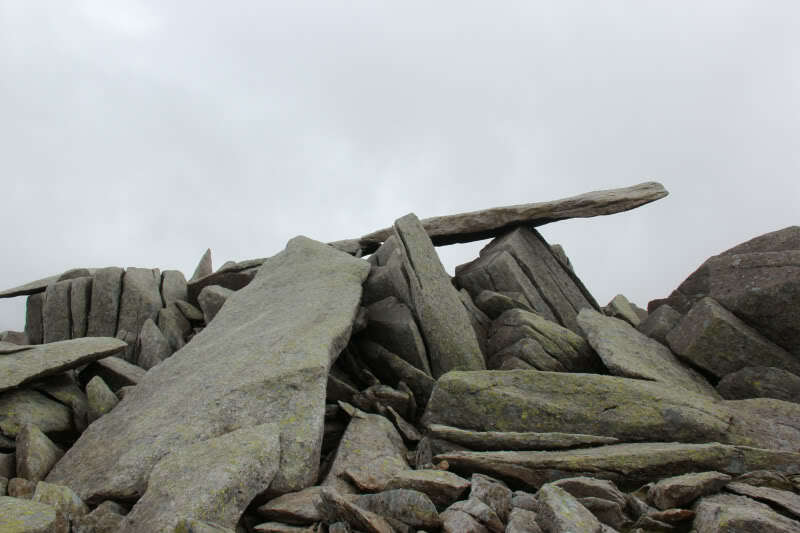 However as I was ascending the huge pile of boulders at the summit, I took a photograph of others on the Cantilever Stone. 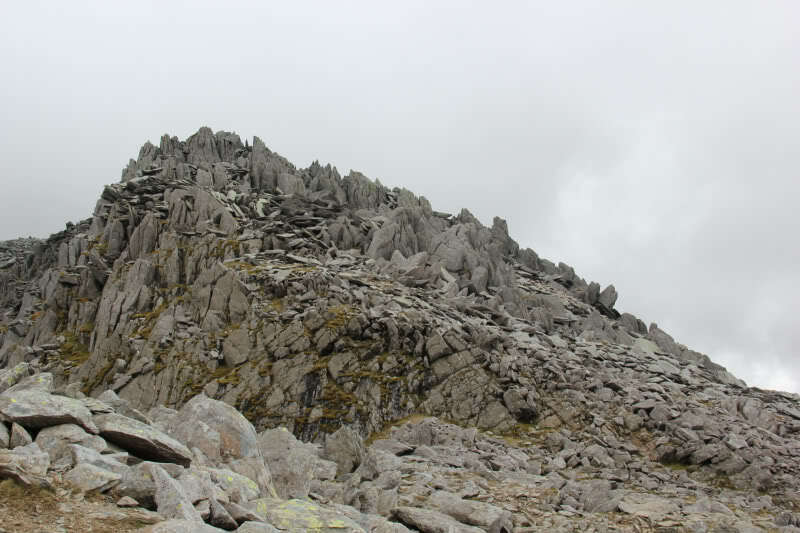 The scramble up the boulders to reach the highest summit boulder was certainly interesting. 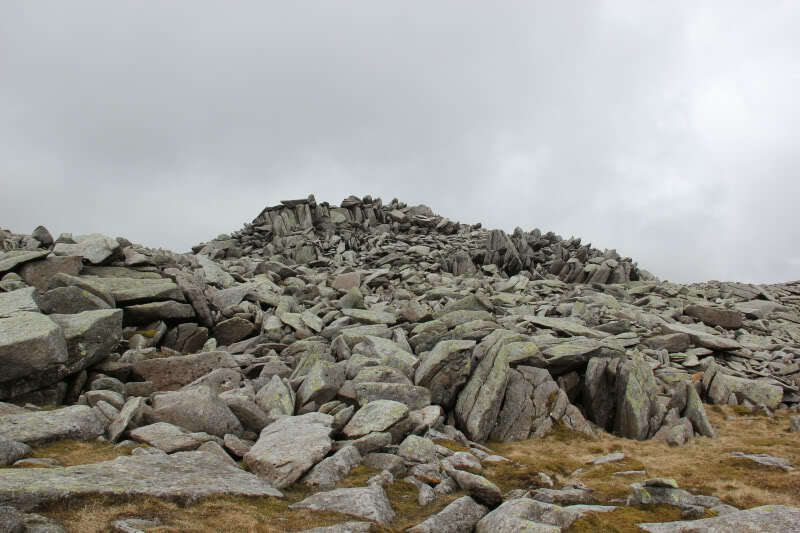 From the summit, I descended back down the boulders and then crossed an area covered with lots more boulders en-route to Castell y Gwynt (Castle of the Winds). 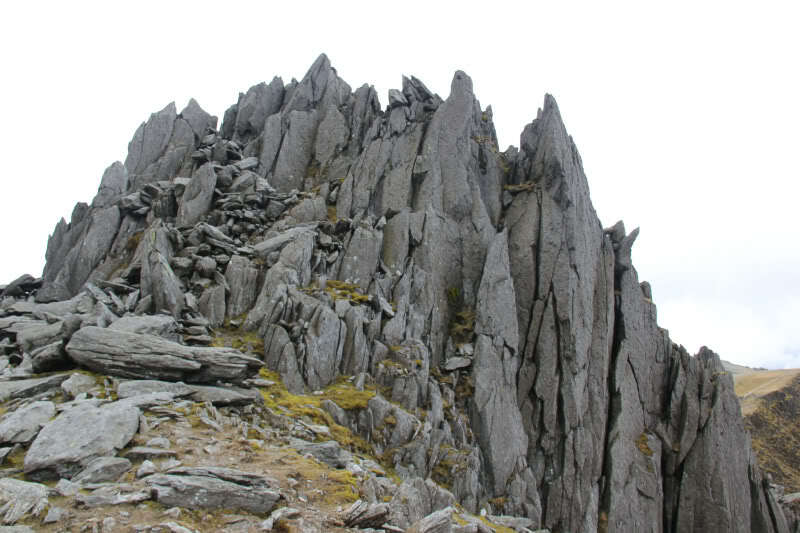 Castell y Gwynt is another impressive feature of Glyder Fach. 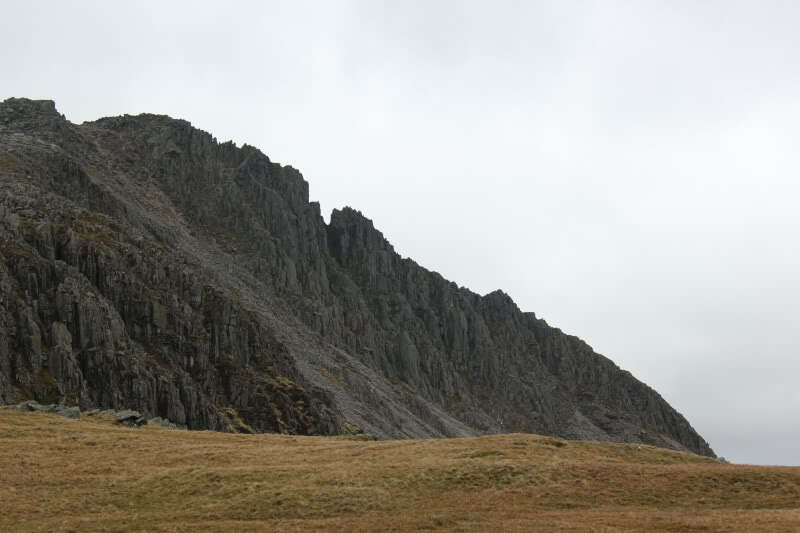 I wasn't sure of the route past Castell y Gwynt. Bypassing the castle on the right wasn't an option as there are steep cliffs. Bypassing the castle on the left looked like it would involve losing quite a bit of height. 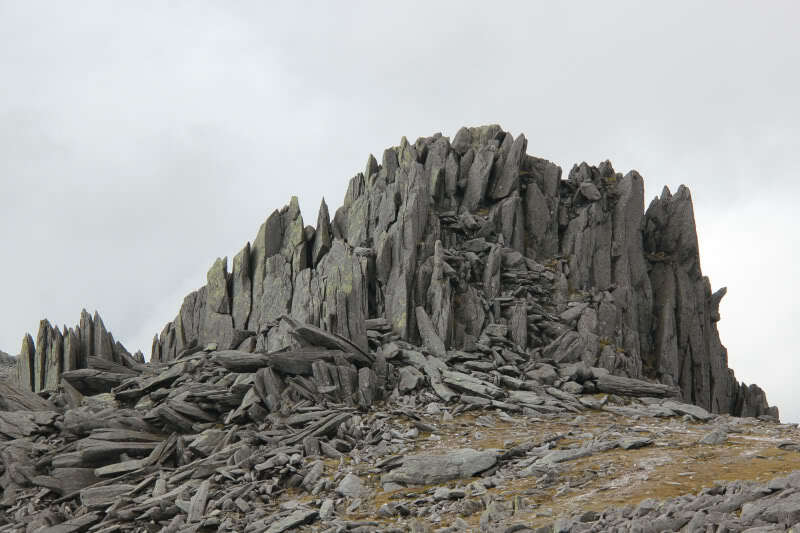 I therefore took the direct approach up Castell y Gwynt. 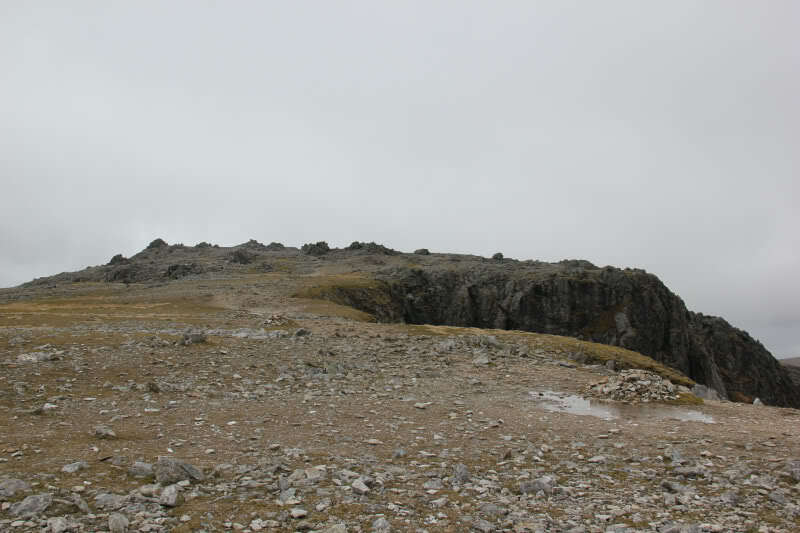 The route I took across Castell y Gwynt had lots of crampon marks to follow. 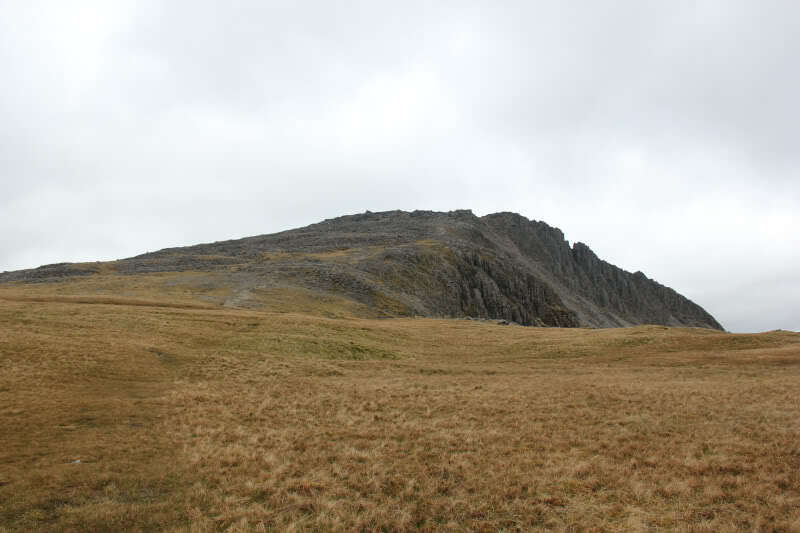 I didn't try to reach the summit of Castell y Gwynt but was just a short distance below it. 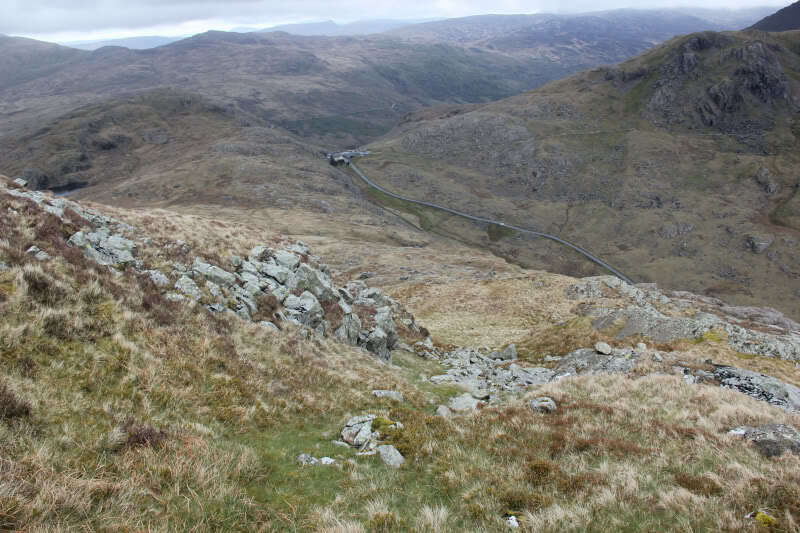 On reaching the base of Castell y Gwynt, I could see that there is an easy by-pass around it . 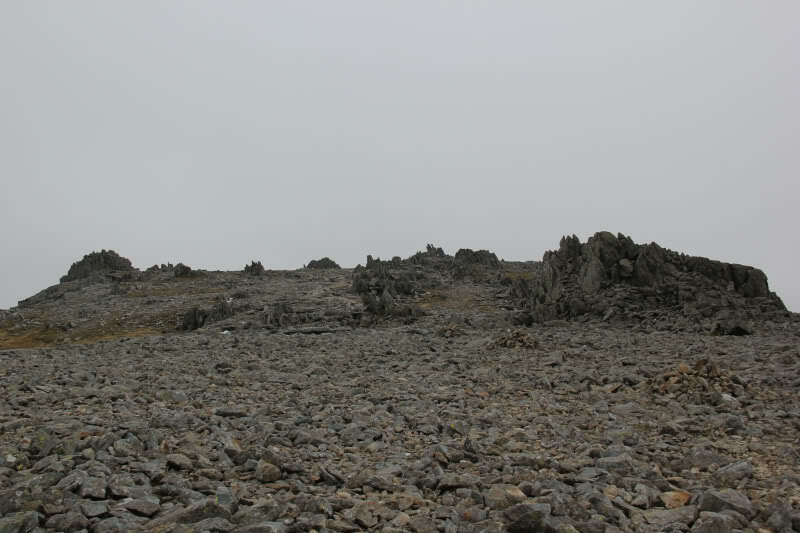 As I ascended Glyder Fawr the low cloud returned and it started to rain. At the summit I was surprised to find around 20 school children with a couple of adults (possibly German). Many were wearing only jeans and a sweatshirt. I was cold wearing my thick fleece; some of them looked seriously cold and wet. 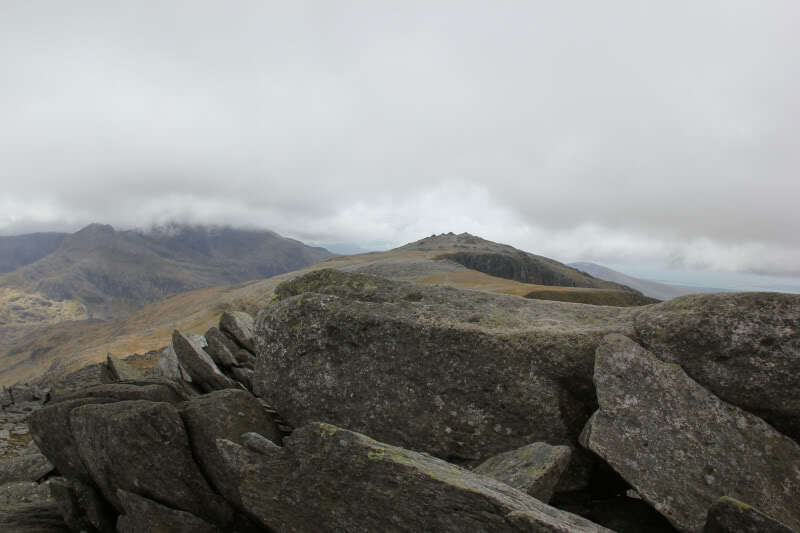 Had the cloud level not lowered and the rain started, I might have continued along the ridge to Y Garn. Instead I decided to head back down. 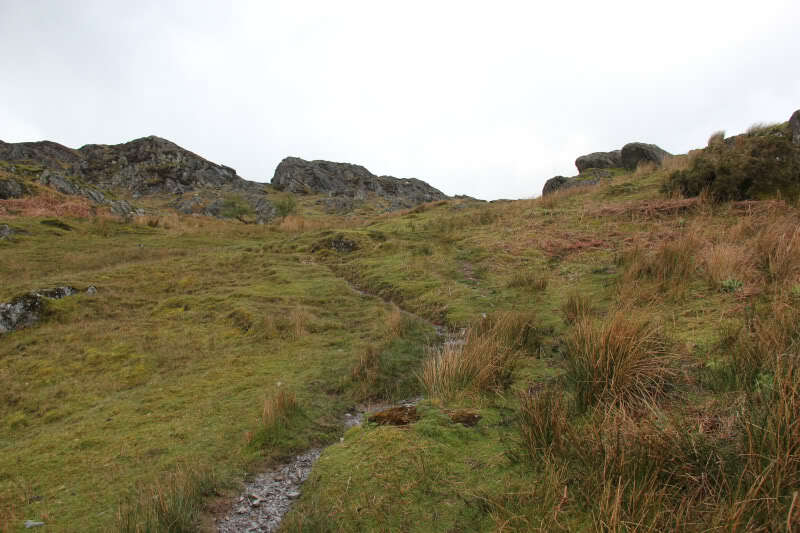 Decision time – descend to A5 to the North or descend to A4086 to the South. 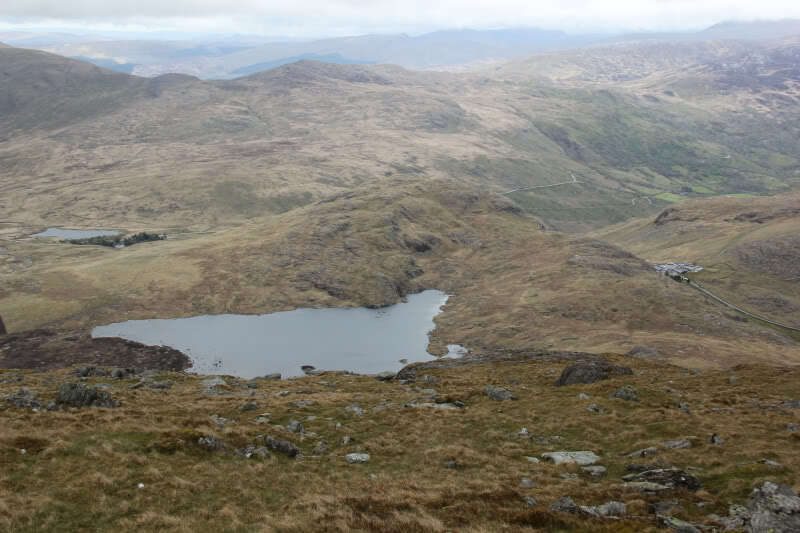 My paper Landranger Map showed a path descending from Glyder Fawr to Pen-y-Pass however this path was not showing on the map I had printed off from the internet and also wasn't showing on my GPS. I decided to descend via this path regardless. 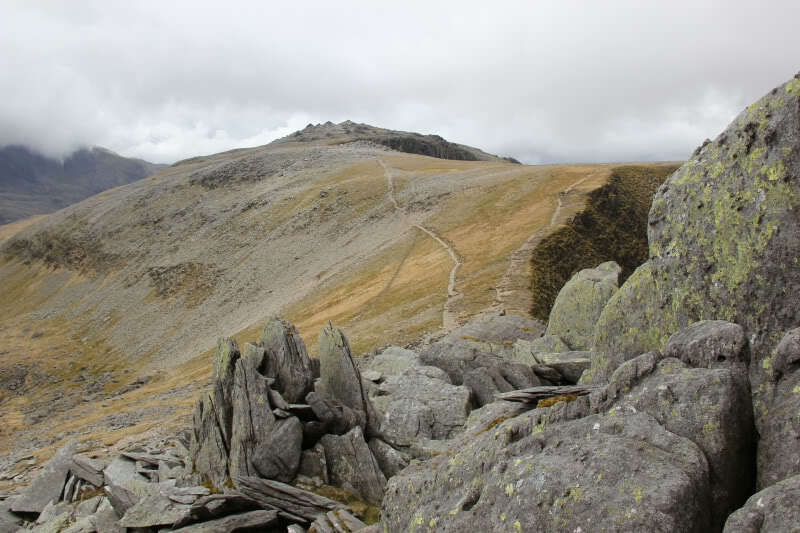 The initial descent was quite straight-forward as there were a number of cairns to follow. However, the path soon become very faint and then non-existent in places. 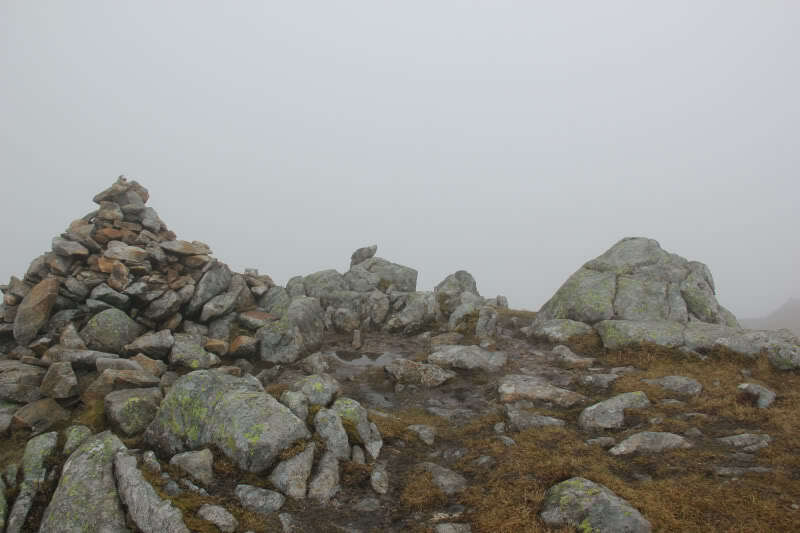 I wouldn't recommend this descent route in misty conditions. 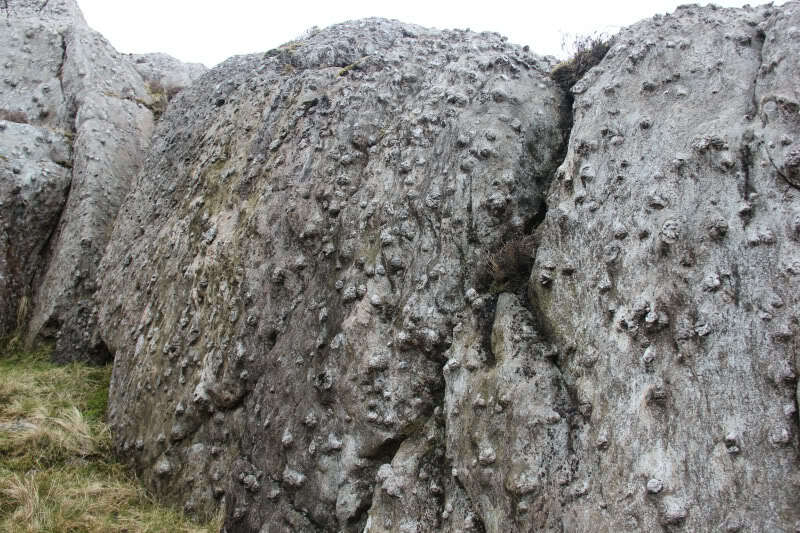 During the descent, I come across an area of rocks with round quartz balls in them. 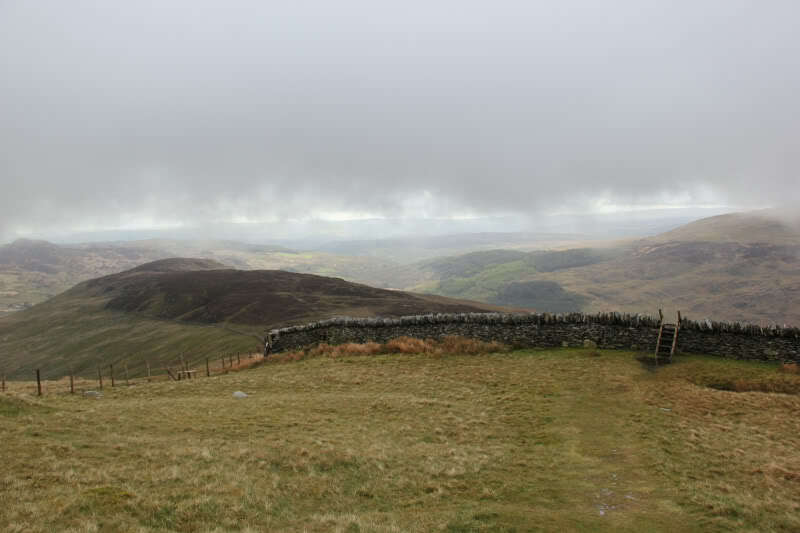 The descent to Pen-y-Pass was steep. 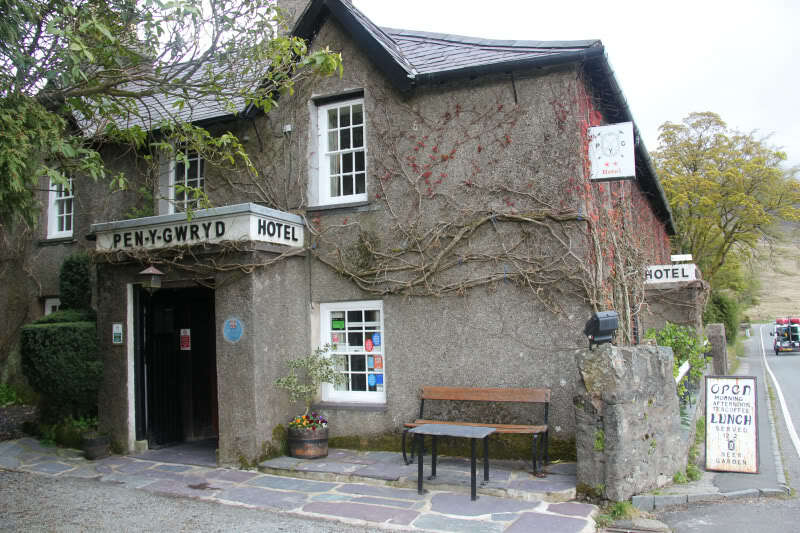 On reaching Pen-y-Pass, I had the choice of waiting circa 90 minutes for the next Snowdon Sherpa bus or walking an extra mile to the fantastic Pen-y-Gwryd Hotel. I walked the extra mile . 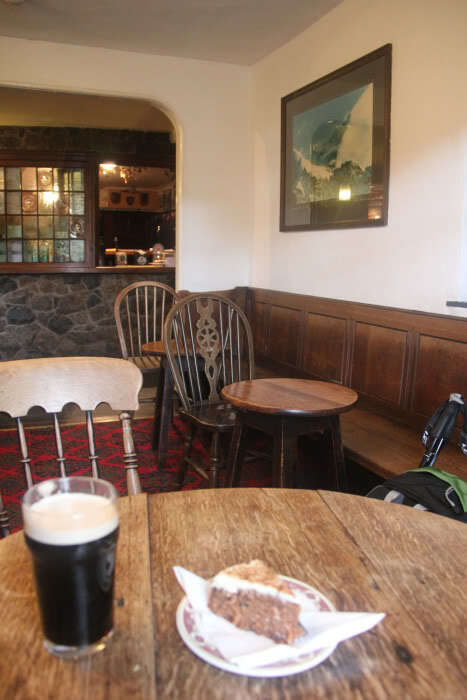 After the refreshments I caught the Snowdon Sherpa bus from Pen-y-Gwryd back to Capel Curig. 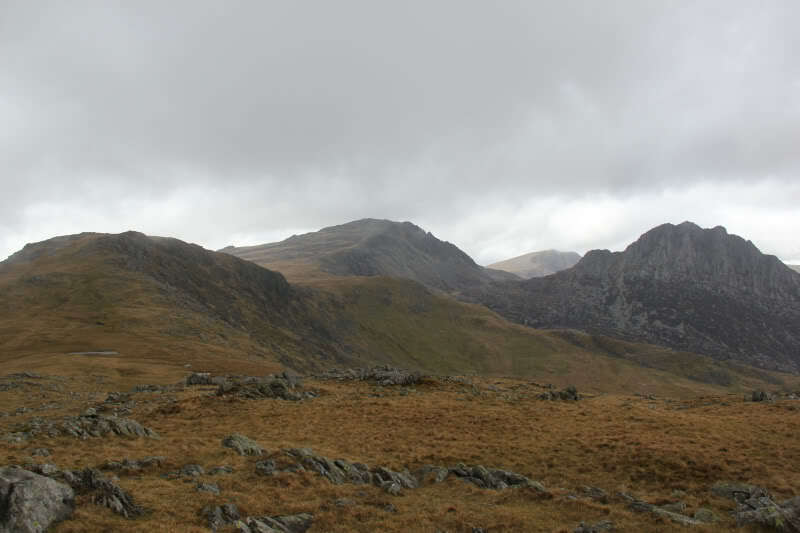 The Glyders are seriously good hills .